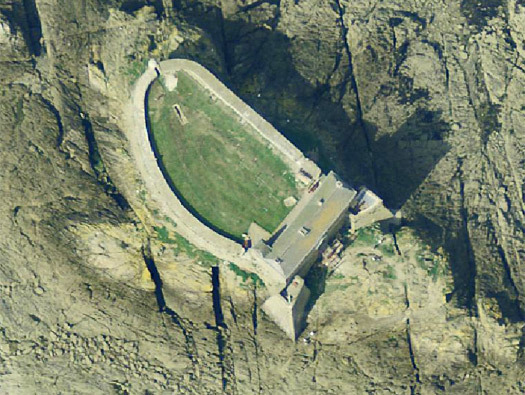 Ra116 Fort du Petit Bé, K.V.U. 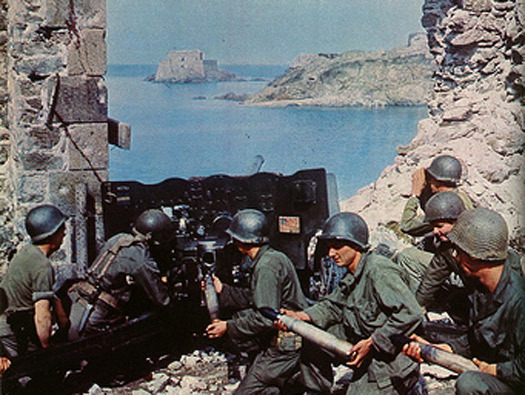 Gruppe Festung St Malo, K.V.Gruppe Rance. 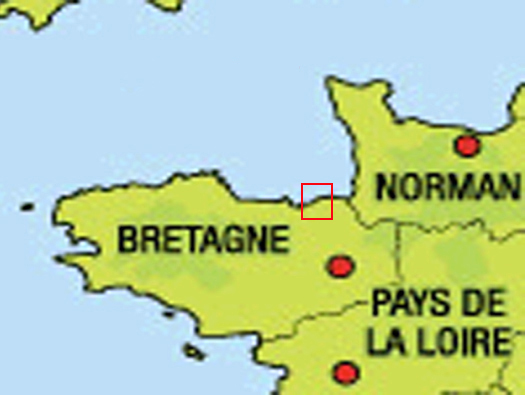 Ra116 Fort du Petit Bé. 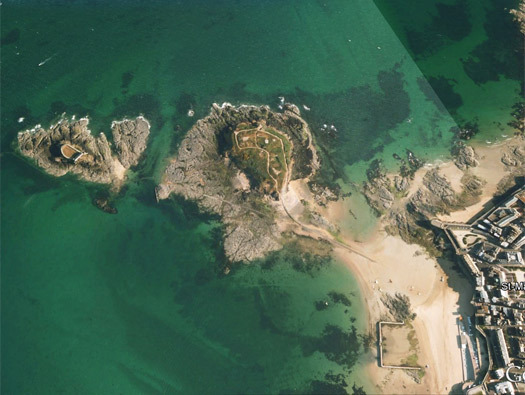 Vauban fort XVII enjoys an exceptional location in the heart of the Bay of Saint-Malo. In 1695 at the time of the second English attack the fort, although still under construction, played an active role in the defence of the city. The fort was finally finished in 1707. A bunker machine gun in a fortress mount. Mg 34 set on a heavy tripod mount. Fortress machine gun & crew. Right to Left, Saint-Malo, Grand Be and Petit Bé. A German map of the Wn´s. The Fort du Petit Bé. Grand Be & Petit Be. 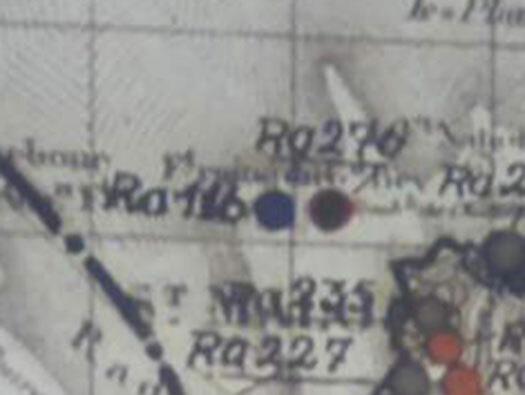 Grand Bé was Ra 276 a four casemated battery of the 2./M.A.A.608 with 4 x 10.5cm S.KL/40's. Grand Bé was captured as the tide was going out and an early morning fog still lay around and Petit Bé I believe by then was not occupied. Grand Bé coming under attack by American forces after the breakout from Normandy with Petit Be to the left. 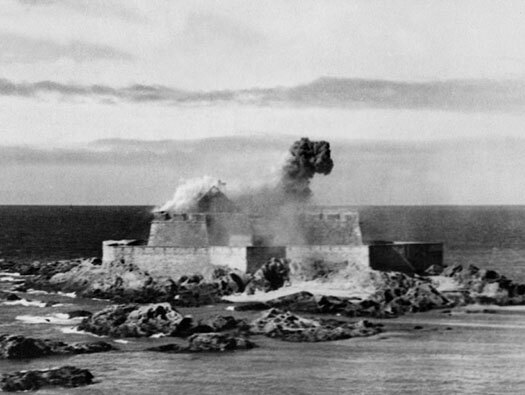 The shelling of Petit Bé.